This entry was posted in Admin, Community, Education, HE, international, Students, University and tagged Boyer, campus, community, halls, HE, Inside Higher Ed, international, Students, University by Paul. Bookmark the permalink. One of the most valuable features of residential halls at univs, especially for parents of freshers, is the potential for some structure to be imposed, eg meal times, whilst allowing new students living away from home the freedom to establish many of their own behaviours and norms. It is how these behaviours are created and worked through with others that can often lead to the established patterns of behaviour in later life, for the benefit of society. Knowing that there is likely to be someone that our children, now learning about the relaiasities of independent living, can potentially touch base with residential tutors, wardens etc, is somehow comforting. The civic benefits aspects may be quite hard to define nd often are not going to be discussing things like global water shortages, important issues though they may be, but about developing the rounded individiual, able to communicate and work well in teams or independently. This surely is part of developing ‘graduateness’, as the graduate attributues so many of our universities espouse demonstrates. Since when were Unversity halls established for the benefit of students? Halls of residences should be the initial building blocks of the university community – the University of Nottngham had it right many years ago with JCR committees lead by returning students funded by every student in that hall. They created a sense of community, policed the community – that sense of ownership was eroded by bean counters and administrators. But easy to reverse. Since when were Unversity halls established for the benefit of parents ? 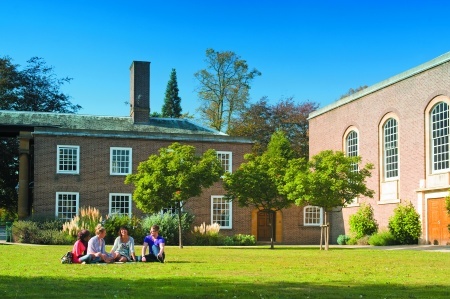 Halls of residences should be the initial building blocks of the university community – the University of Nottngham had it right many years ago with JCR committees lead by returning students funded by every student in that hall. They created a sense of community, policed the community – that sense of ownership was eroded by bean counters and administrators. But easy to reverse.